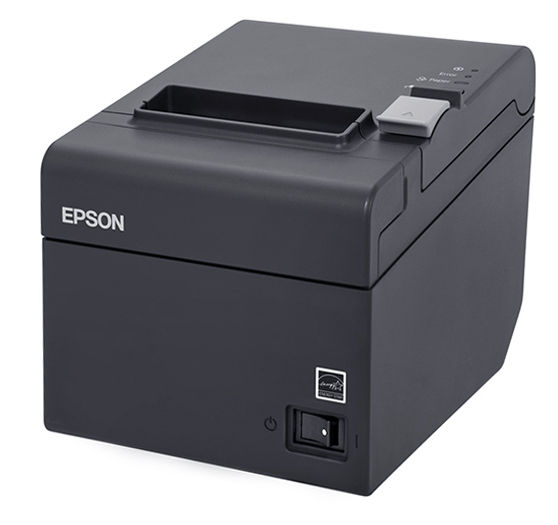 With the start of 2017 we are releasing the new thermal printer from the EPSON company. This printer will fully replace the previous generation of DPT printer for all products of heat technology and you can buy the same under the ordering code MC 000710. Only for Stericells we will use the DPT printers for a short period of time, all the other units will be sent with the new EPSON from now on. There are many advantages for the new printer. Main reason is the reliability, as the new printer is designed to print at least 15 million lines and 360 000 hours without any trouble if treated properly. Also the speed is uncomparable – up to 200 mm per second. To increase the proces security there is a new cover on the ON/OFF button to avoid accidental switching OFF. Big advantage is also the wider range of installation possibilties. You can install the printer horizontally on a flat surface (with the paper exit on top) or vertically (with the paper exit at the front). Also, you can hang it on a wall using the included accessories.